This week, Faith and the gang share kitchen tips to make your cooking life simpler and easier and a recipe idea from Alex Province for grilled cauliflower with Mexican spices, sauce, and cheese. Plus, Sonja Overhiser shares recipes from her beautiful cookbook, Pretty Simple Cooking. She’s co-author with husband Alex Overhiser. 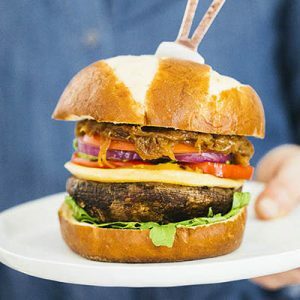 You’ll want to make their Delicata Fries with Awesome Sauce and Giant Portobello Burgers with Caramelized Onions (we did!). And, it’s apple season! Sonja shares a spin on an old family recipe for Apple Cherry Cardamom Crumble.